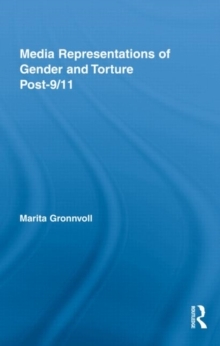 In this timely book, Gronnvoll offers a feminist rhetorical examination of gender and torture, looking at the media coverage of Abu Ghraib and Guantanamo Bay, as well as recent popular entertainment television serials where torture appears as a plot device (including 24). In exposing news media coverage to such scrutiny, she finds that cases of American personnel engaging in torture achieved notoriety chiefly because of the fact that women were perpetrators. The language of commentators suggests at least as much social outrage over the gender performance of the women as over the fact of torture being committed by Americans. At the same time, political and social discourses sketch a portrait of an intractable enemy in the form of the Muslim "Other" and betray a longing for a savior warrior hero who is capable of prevailing over this perceived "evil." Yet, news coverage of Abu Ghraib and Guantanamo Bay suggests women warriors are socially perceived as lacking the necessary qualifications to be such saviors. This finding provides a transition into an examination of popular entertainment television programs that feature male and female heroes as government agents engaged in fighting the war on terrorism. Ultimately, Gronnvoll's analysis suggests that a Western cultural longing for a savior is partially fulfilled through fictional programming portrayals of masculine warriors who engage in torture and remain heroic.